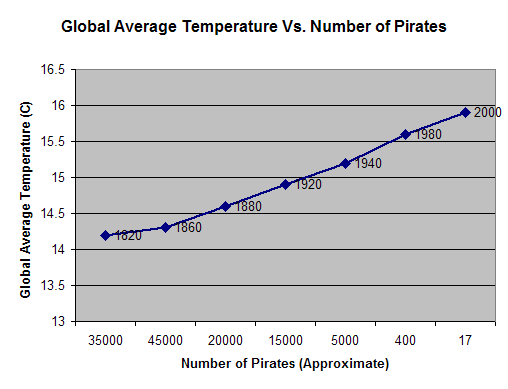 shows a correlation between global warming and the number of remaining pirates. But this does not imply (of course), any causality between them. Professor at Universidad Carlos III de Madrid and MIT Medialab. Working on Complex Systems, Social Networks and Urban Science. Is Game Theory a scientific theory?